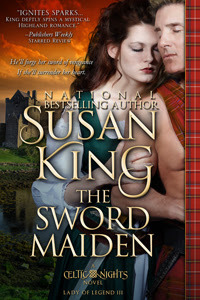 “Susan King is a master storyteller." only to risk his heart in the bargain. His miracle -- is her greatest risk . . . 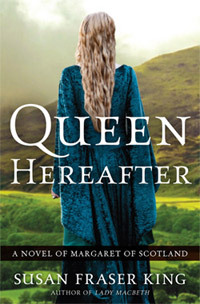 In 14th century Scotland, Diarmid Campbell, desperate to save his dying niece, seeks the young woman who once performed a miracle on a battlefield. But when she denies it, he carries the stubborn beauty off to his Highland stronghold. There, the captive lady must learn to trust -- and the warrior must allow himself to love again -- if what each desires most can ever become possible. Available for Amazon Kindle and Barnes & Noble Nook! 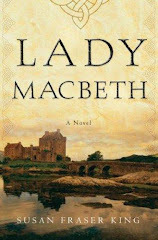 Captured by the English, Lady Christian MacGillean is held in an iron cage -- and dying when an English knight claims her and her lands. Stunned by the king's cruelty toward the beautiful Scottish rebel, Sir Gavin Faulkener agrees to take her at a price: find the ancient gold the lady has hidden away. When Lady Christian unexpectedly recovers, Gavin fears his secret healing gift is exposed -- and now he must find the missing treasure in a ruined castle, while the lady takes up rebellion once again. Yet even these two wounded hearts can begin to heal -- if they dare. All of Susan King's classic, bestselling historical romances in print are now available in e-book at Amazon, Barnes & Noble, and wherever e-books are sold. Book cover designs by Kim Killion.